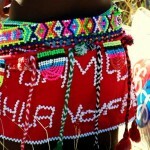 Zulu people are very creative and this is seen in their art and craftwork – primarily beadwork, basketry and pottery. 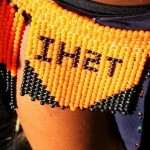 Beads were used by individuals to decorate and adorn themselves. Bright colours were used and they were worked into wonderful geometric patterns. Beads not only decorate, they also convey messages, and different colour beads have different meanings. Baskets were also woven from different materials, they were made from dried grass, thin rushes or lengths of old telephone wire. These baskets were used for storing, transporting and as drinking vessels. They too were woven into wonderful geometric shapes with different colours achieved by dying the grass with berries, roots and flowers. Zulu pottery is made from dark clay from the riverside. 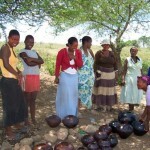 Wonderful pots are made by the women with patterns scratched into them. They are dried around a hot fire, and are often used to drink Zulu Beer, Other clay sculptures are made by different craftsmen, from sculptures of heads, to animals and more. 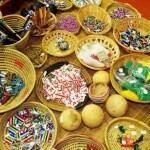 The Vukani Museum at Fort Nongqayi museum village in Eshowe has the world’s largest collection of Zulu crafts.